If we were to plot a graph entitled "Hot Hatch Scale," the 2012 Mazda Mazdaspeed 3 would reside on the far side, labeled "Performance." It's got a muscular turbocharged engine, a six-speed manual transmission and handling that's sharp enough to take on legitimate sports cars. As budget-oriented hatchbacks go, this Mazda is certainly one of the best sold today. At the heart of the Mazdaspeed 3 is its turbocharged 263-horsepower engine, and it helps this front-wheel-drive hatchback charge hard from zero to 60 mph in an impressively quick 6.3 seconds. Technically, this isn't the best time for this type of car -- the all-wheel-drive Subaru WRX can be a full second quicker in test conditions -- but the Mazda is still pretty much tops in the real world. On winding roads, the Mazdaspeed 3 really shows its stuff with precise steering, a buttoned-down suspension and sticky tires. Like any good hot hatch, the Mazdaspeed 3 still provides ample value and practicality. Passenger space is generous, and with 42.8 cubic feet of maximum cargo capacity, the Speed 3 is the rare sporting car that can help you haul a load of stuff from Costco. The well-trimmed cabin also boasts solid fit and finish, and some features (either standard or optional) that you might not expect in this segment. However, the Mazdaspeed 3 does have some inherent trade-offs. Most notably, sending that much power through the front wheels causes significant torque steer. Boot the throttle as you leave from a stoplight and the steering wheel will wriggle in your hands as if it has a mind of its own. The Mazdaspeed 3 also rides firmly and has a pronounced level of interior noise. Should you prefer something tamer for everyday driving, we'd steer you to the Volkswagen GTI, a hot hatch that exists on the other side of our graph, labeled "livability." There are also a few other notable choices, including the sprightly Mini Cooper S, the Subaru Impreza WRX and the stylish Volvo C30. 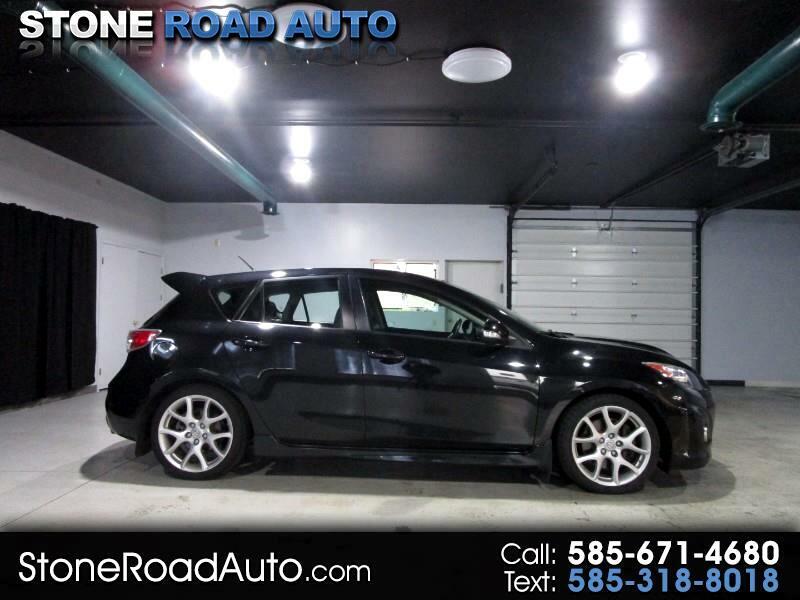 But for those enthusiasts who want a hot hatch with equal parts performance and versatility, the Mazdaspeed 3 is the way to go.